At 4D Peek a Boo, we give a whole new meaning to ultrasounds. 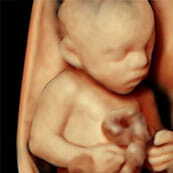 In the past, expectant parents were unable to see their baby until he or she was born. 4D Peek a Boo, in conjunction with Ultrasound Trainers, has been the premier option for individuals looking to open their own 3D/4D Elective Ultrasound Studio. Not only does 4D Peek a Boo assist with opening ultrasound studios for clients, but we also own our own studios. By having the background of being an owner of an elective ultrasound studio we are able to give a unique perspective of the business and helpt to ensure that we can limit the posibilities of mistakes to be made by new owners. 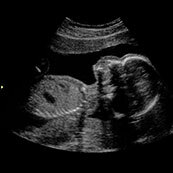 Want to open an Ultrasound Studio? Take a look at our some of our past clients and studios and see if there is one near you! We are here to assist you with opening your own 3D/4D Elective Ultrasound studio without having the costs of being a franchise owner. We have multiple financing options for our turn-key packages as well as ultrasound equipment. We offer a solution customized to your needs. Want to get trained to do elective ultrasounds? 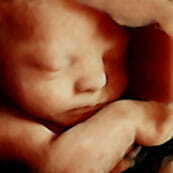 4D Peek a Boo offers a wide range of ultrasound products. Not only do we have established elective ultrasound studios around the world but we also are the premier 3D/4D HD Elective Ultrasounds business partnership (think of a franchise without the regulations or fees of a franchise). With our turn-key ultrasound business package we are able to help you open your own completely custom ultrasound studio.